Just in time for the weekend, our Cocktail Queen, Sarah, is back! 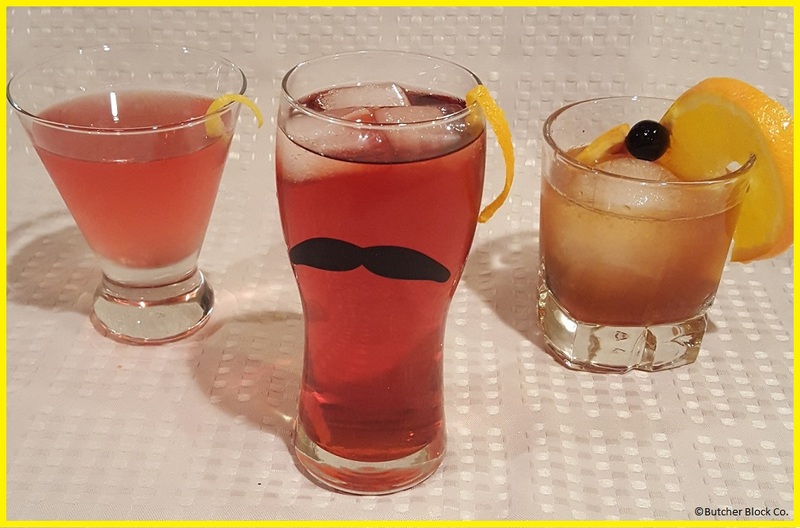 This week she is sharing with us some basic bar gadgets plus how to use them to make three classic cocktails. 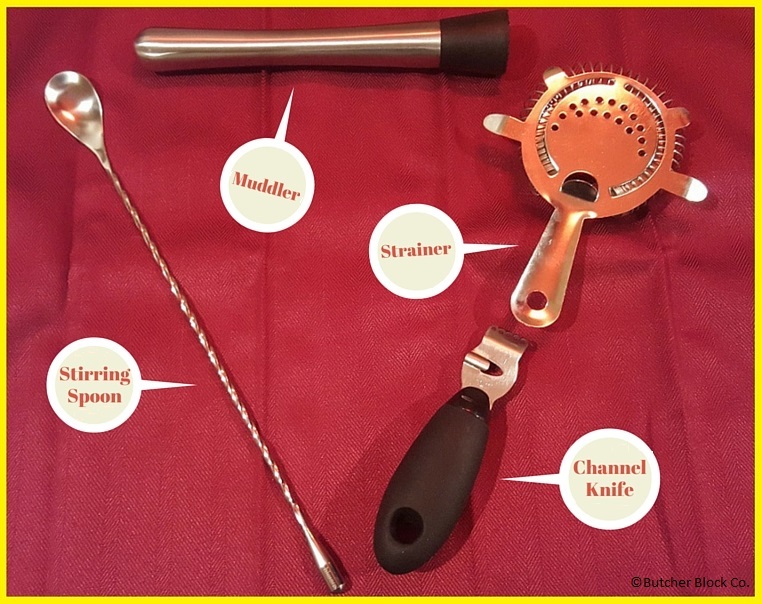 I own all of these bar gadgets, but I have never used any of them (well, my muddler has been used to break up ice a few times, but I don’t think that counts…), so I think it’s high time I graduate from pouring bourbon and opening beer. Let’s see if Sarah can teach me a thing or two about making real, grown-up cocktails! You can come along for the lesson, too, and we’ll practice our new-found bartending skills together. So let’s talk classic cocktails. You don’t have to be a film noir star to be able to enjoy an old fashioned, but you will need a few basic bar gadgets to help craft your masterpieces. I’ve been expanding my own collection of home bar gadgets as of late, and my cocktail game has never been stronger. This should fit perfectly over a pint glass or other shaker, allowing you to strain ice and any other bits you’ve mixed into a fresh glass. We will get into the finer details of proper muddling in a later post, but this is great for crushing ingredients before adding alcohol – we’ll be using it to make old fashioneds really easy to make. This is surprisingly helpful, especially when you are stirring a cocktail in a tall pint glass. Your average spoon won’t make it all the way down to the bottom, and the slender, spindly handle maneuvers more easily around bulky ingredients (believe me – I was as surprised as you that a FANCY SPOON is a great bar gadget). This is the most technical tool we’ll be using today. The best tutorial I’ve ever seen on cutting twists is here. It demonstrates three easy ways to make a fancy-looking garnish. 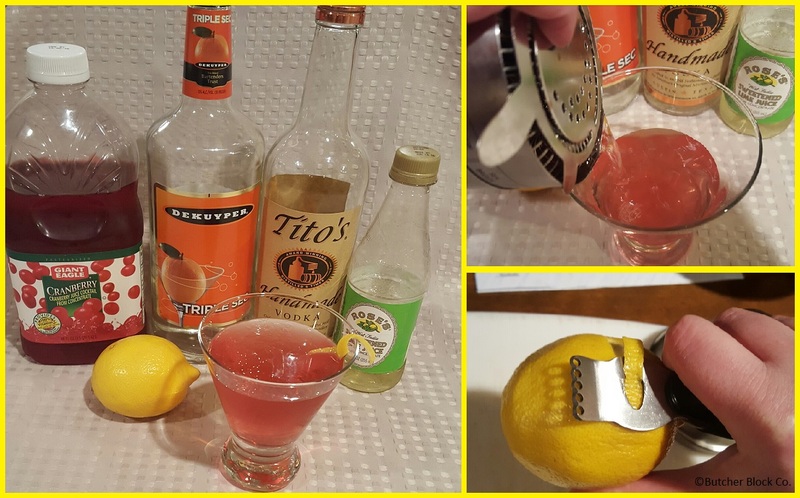 I like the channel knife because I LOVE gadgets, but it’s also handy if you aren’t making a lot of drinks or don’t have a use for fresh-squeezed lemon. Twists cut with a channel knife are also a little more delicate-looking than ones done with a vegetable peeler, making for extra fancy. I found the bulky handle of the channel knife easy to control once I had practiced a bit. Oh, and the bonus citrus zester on this one is nice to have on-hand. Pro tip – have friends over for “practice cocktail night;” it is VERY fun. So on to actually making these bad boys. Today, we’ll be delving into Negronis, Old Fashioneds, and Cosmopolitans. Negronis are probably the most obscure on that list, but my sources say they’re coming back in a big way as of late. There are a few special ingredients you should have, both to have a nicely stocked home bar, as well as to impress your guests. 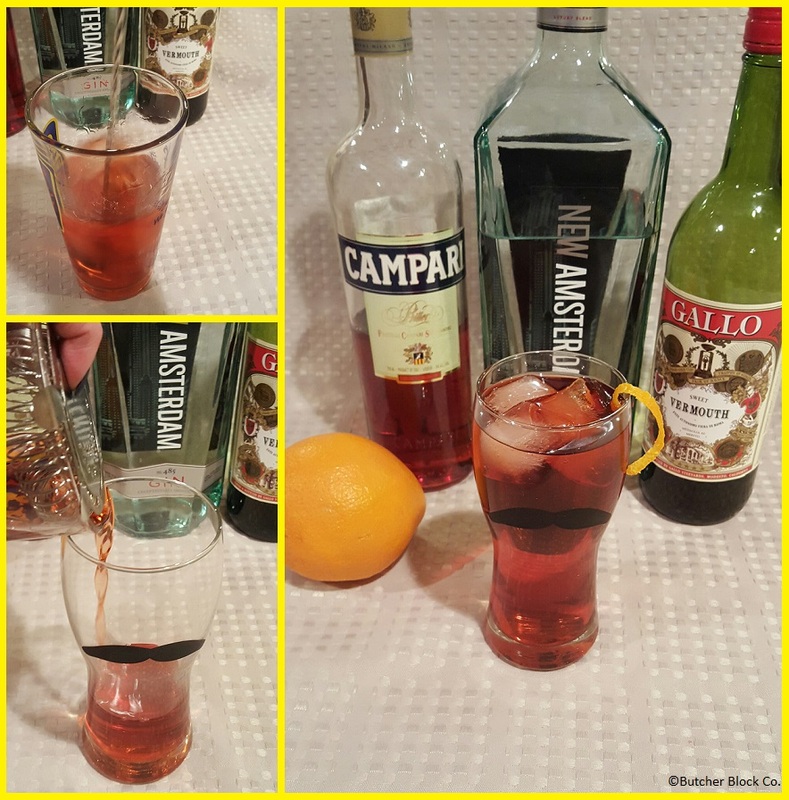 I, personally, have found that the bitterness or orangeness of Campari is not something I prefer to be able to taste in a cocktail, but Aperol is another bitter alcohol that I find palatable. Either of these is going to be a bright orange bottle, giving your cocktail an unmistakable color. One bottle of this will last you quite a while, since it’s rarely called for in drinks, but its presence in your home bar will make you look like an esoteric expert. It might seem silly to spend $20 on a jar of cherries, but these will last you a good long time, and Luxardo is the bartender’s gold standard cherry. 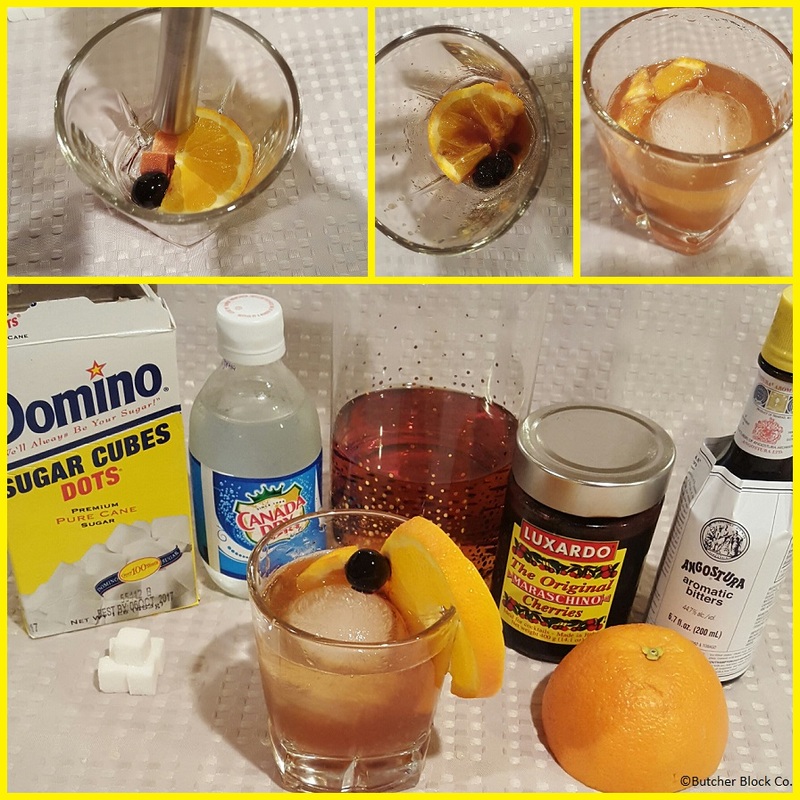 I tried several fancy cherries for this post, and the thick syrup of Luxardo helps this guy stand up to a boozy drink. I promise you can taste the quality. Woodford Reserve also makes a decent cherry for slightly fewer dollars. Drop 2 sugar cubes in a heavy-bottomed glass (they’re actually called old fashioned glasses for a reason!) and shake a few dashes of bitters on them. Add half an orange wheel and a cherry. Pour a splash of seltzer or water in the glass. Seltzer is going to lighten this drink up in a surprising way if you’ve only ever had these with water before. It’s a nice change of pace that I encourage you to try even once. Mash gently with your muddler. The sugar cubes should no longer be cube-shaped, and your fruit should have released some of its juice, but don’t pulverize the fruit. Add ice. The giant fancy ice thing that’s a trend? The reasoning behind it is that the bigger the ice cube, the less surface area it has compared to several smaller ice cubes. So you get the same amount of chill factor with more time to drink before the ice has completely melted or waters down your drink too much. So add your ice, then 2 parts whiskey. I used my trusty Bulleit Bourbon, which has lately been housed in a fancy schmancy decanter and looking very stylish. Stir it gently and let it sit for a few moments before sipping. Garnish with an orange wheel and a fancy cherry (snacks with drinks are always appreciated by me). In a cocktail shaker, start with ice. Any ice is fine here, since we’re going to shake this guy. Add 1 part sweetened lime juice. Add 1 part triple sec. Pour in 2 parts cranberry juice. Finish with 3 parts vodka, and shake thoroughly for about twenty seconds – your shaker should be cold to the touch. Strain into a cocktail glass and garnish with a twist of lemon. In a pint glass or shaker, start with ice. Take your long-handled stirring spoon and stir this for about twenty seconds, or long enough that you feel silly stirring. This is going to make sure your drink is cold. Strain into a glass. This can be served up (no ice) or given some ice cubes to keep it company. Garnish with an orange twist. Which drinks should I mix up for you next? Do you have an obscure bar gadget that you’ve never used?